Using the free and easy to master 3-d modeling program, Trimble SketchUp, students are introduced to the virtual world of computer modeling. The program will be downloaded to their computer. In the course of learning the program students will also learn to name files, create folders, and use the mouse. The objective of this course is to introduce the principles of computer modeling. 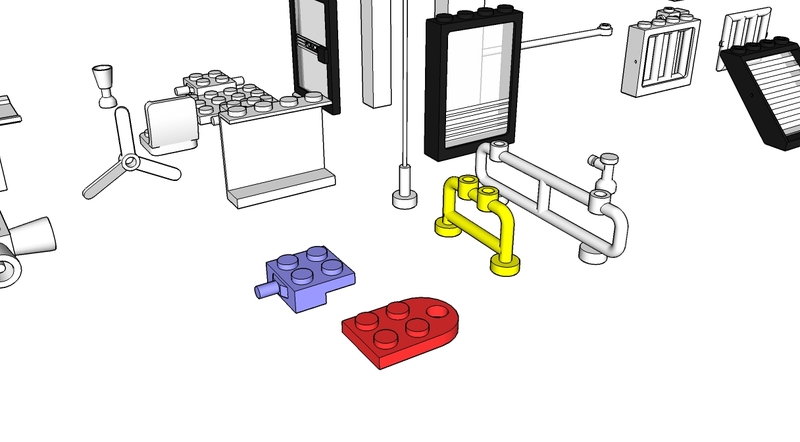 Students will build virtual Lego models and make prints the resulting model. Design principles will be explained and the students will be able to create their own Lego blocks and models, or model of anything they wish. Methods of Evaluation: The model files will demonstrate the student’s understanding and creativity. 1. Program download and introduction to its tools. 4. More hands on modeling. 5. Modeling more advanced parts. 10. Choose and develop a project to model. 12. Project completion and printing.